Perryman’s internationally seasoned team of technology entrepreneurs has developed a containerized solar thermal energy collection & storage system that can be up & running in two hours; charging night and day, the system co-produces water, thermal refrigeration & electric, while supporting remote learning to empower poor villages to prosper economically. Perryman develops sustainable energy solutions incorporating its breakthrough thermal energy technology platform. These solutions solve several critical problems—e.g., cost, intermittency & efficiency—now retarding rapid deployment of sustainable energy. 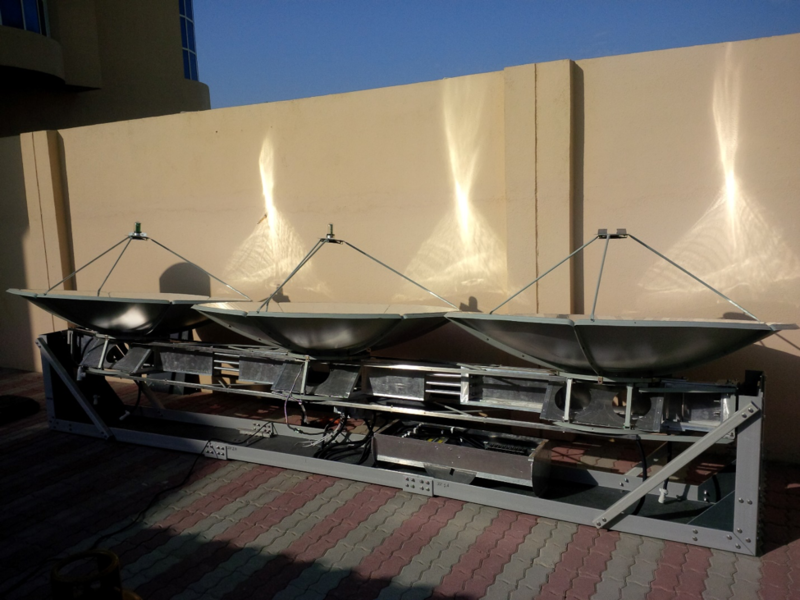 Perryman’s patented collection of visible/diffuse as well as direct infrared energy provides a 2-3x increase to the energy now collected by PV/CSP. This Full-Spectrum Solar™ radiation is concentrated as ultra-high temperature heat (3,180°F), and stored (for hours or months) in Perryman’s “Thermal Batteries” with a useful life of >30 years and base cost of only $30/kWh. Thermal energy is converted into electric with efficiencies up to 4x achieved by PV, while co-generated thermal exhaust is used to inexpensively produce water, thermal refrigeration and other useful work with end-to-end efficiencies >90%. Furthermore, Perryman can field-retrofit turbines now burning fuel to run on clean heat, and has completed bench demonstrations of similar retrofits for diesel engines. The problem we address for Empower a Billion Lives is the need to deliver useful work and enable villagers to increase their productivity, self–sufficiency and value-added export income from local resources. The Perryman team has spent their careers delivering practical energy solutions. Our experience in subsistence economies has repeatedly shown there is always a way for people to improve their productivity and incomes by combining energy and know-how. Perryman has teamed with Energime University to deliver a solution that combines technology, practical knowledge, and distance learning. The foundation is a Perryman Village Utility in a box, configured to suit local needs and resources. This system generates baseload electric for a cell tower, school, clinic and charging marine batteries for home and mobility needs. On coastal islands in Kenya, the system replaces expensive imported water, provide refrigeration & ice to keep fish fresh for electric-driven transport to market, and produce valuable export salt. To deploy a single Perryman portable module to produce electricity.